Asitha is a young environmental scientist who is currently working as a ranger on Phillip Island. In the past Asitha has worked as an environmental consultant and a researcher for several Australian threatened species conservation programs. 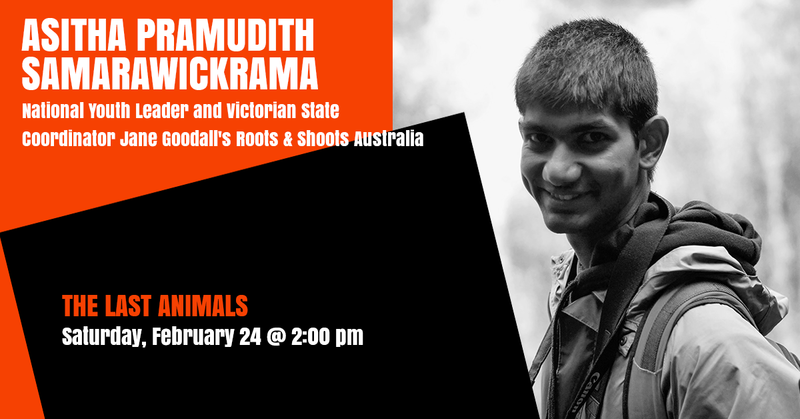 He is a National Youth Leader and the Victorian State Coordinator for Jane Goodall’s Roots & Shoots Australia. In future Asitha hopes to return to his homeland Sri Lanka and work to reduce Human-Elephant conflict.